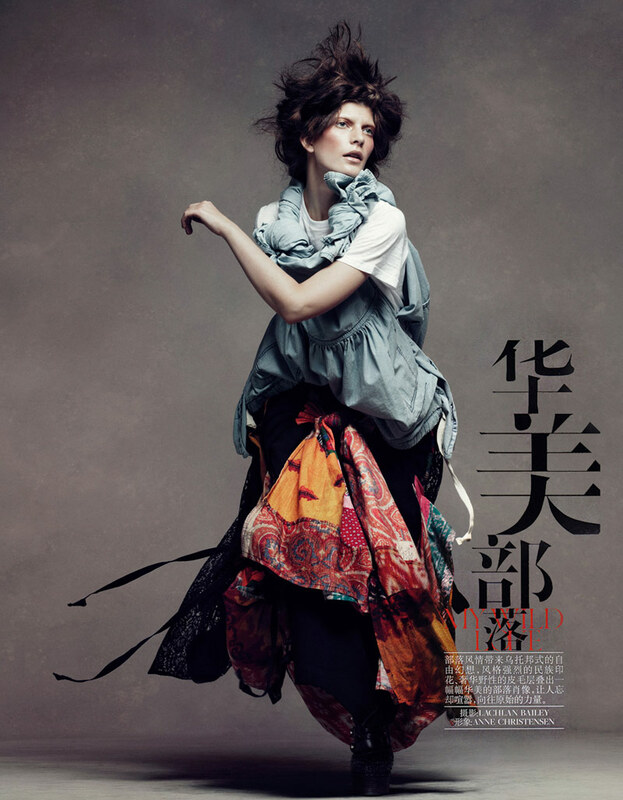 Valerija Kelava goes nomad for the November edition of Vogue China. In front of Lachlan Bailey’s lens, Valerija seamlessly transforms into a fashionable traveler with the aide of fashion editor Anne Christensen. Piecing together a wardrobe of heavy layers and a subdued color palette, Christensen uses garments from the likes of Etro, John Galliano, Thakoon and more in My Wild Love. Oh my god, the 6th picture…so adorable! She’s a very interesting looking girl, I like her. 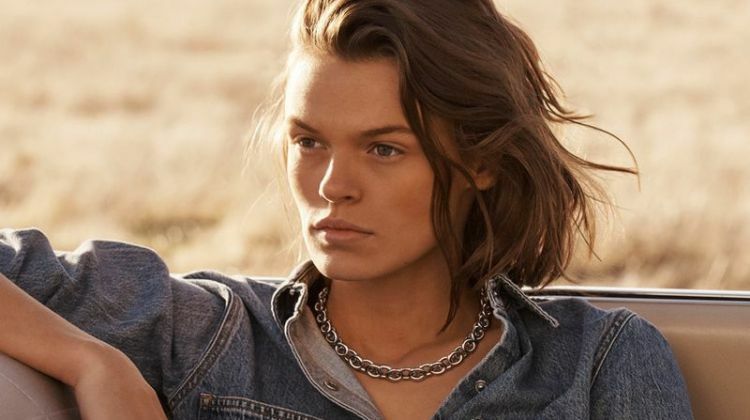 Valerija’s face intrigues me, every angle of her is so different. As an editorial I think this is good, though it wasn’t until the end that I thought the shots were really dynamic. There is something about this kind of editorials that I love and I don’t know what it is. utterly phenomenal hair and styling. the whole team really brought it – this shoot is superb. The laughing picture sort of startled me, I totally wasn’t expecting it. 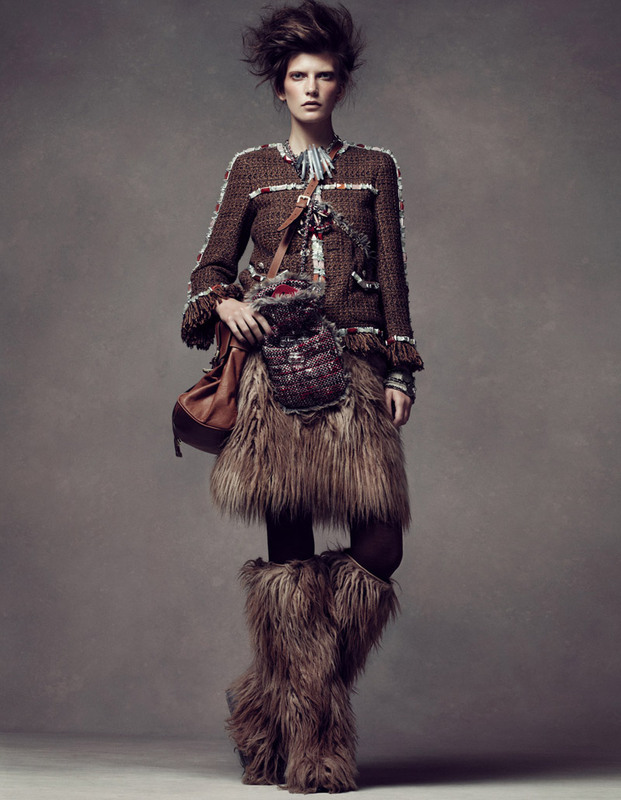 But this is gorrrrgeous, I love the styling and the makeup! 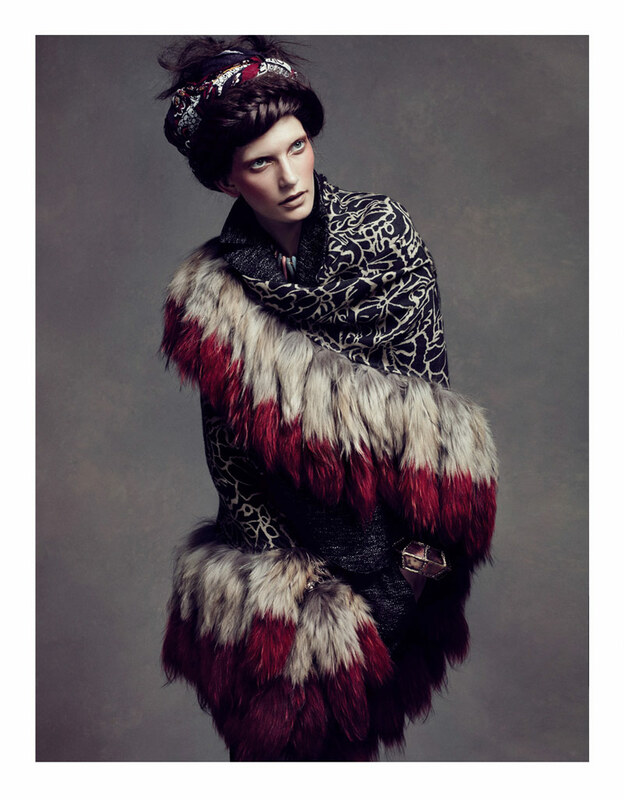 This is pure magnificence – I love every frame and the model, styling and lighting all comes together perfectly. Bravo. Makeup & Clothes are awesome!!!! Really great work! the last one is the best!! !